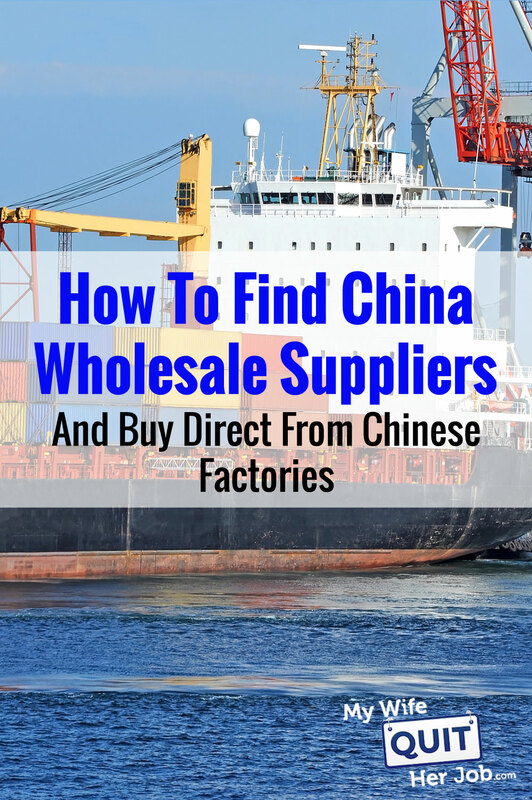 Today, I will teach you where to find China wholesale suppliers and what to expect when importing direct from Chinese factories. One of the best ways to find Chinese vendors is by attending the Canton Import And Export Fair. The Canton Fair is held in GuangZhou, China twice a year (Usually during the end of May and the beginning of November) and is one of the largest sourcing shows (if not the biggest) in the world. It easily trumps any trade show in the US and it’s so large that they have to split it into 3 phases. The first phase covers electronics, the second phase covers consumer goods, gifts and home decor and the third phase covers textiles, garments, shoes and office supplies. To give you an idea of the magnitude of the fairgrounds, the Canton Fair is equivalent in size to 218 football fields. Crazy right? Now if you’ve ever tried to find a Chinese vendor or factory using an online directory like Alibaba, you probably know how time consuming it can be. There are many companies to go through and it’s hard to gauge product quality by just looking at photos online. In addition, language and cultural barriers can make communication challenging over email and text. The best part about the Canton Fair is that it’s a place where suppliers and factory owners from all over Asia congregate and you can easily find a vendor that either carries what you want to sell or can make what you want to sell. In addition, all of the vendors bring in samples of what they make so you can touch and feel all of the merchandise first hand before committing to a purchase. Most of the suppliers at the fair are used to dealing with American and European companies so they have the experience and infrastructure to export products to wherever you live. The other good news is that a good number of these vendors speak English…not good English mind you, but enough to communicate at a basic level. If you require an interpreter, you can easily hire one for a very reasonable price (100 yuan = 15 bucks for the day). Going to the Canton Fair sounds intimidating but it’s actually not that bad and it doesn’t cost nearly as much as you think. First off, the Canton Fair is free to attend and the cost of living is much lower in China than in the US. Second of all, I’ve published my full itinerary and a complete guide to the Canton Fair below. If you plan on going, you can simply copy my travel plans. Similar to the Canton Fair, the Global Sources Tradeshow is another gigantic fair where factory owners from all over the world congregate twice per year. What’s nice about the Global Sources Tradeshow is that it takes place just BEFORE the Canton Fair in Hong Kong so you can easily hit both shows during the same trip! While the Global Sources show is not as large as the Canton Fair, there are a few key differences that make the Global Sources show a must attend event. Because Global Sources is a search engine for Chinese vendors like Alibaba, they also have a gigantic searchable database of manufacturers that you can establish contact with prior to attending the event. In addition, Global Sources contains a much larger contingent of suppliers in certain key categories such as electronics and fashion accessories. So if you plan on selling anything electronic, Global Sources is the best show to attend. The other key difference is that Global Sources provides a strong focus on education. During their show, they simulaneously run a conference that teaches you how to run a successful importing business. The content of the event is fantastic and they invite successful ecommerce entrepreneurs from all over the world to speak. But perhaps the best part about the Global Sources trade show is that there’s a very low language barrier! Unlike China, everyone speaks English in Hong Kong and it’s generally much easier to get around as a result. My advice if you decide to travel all the way to Asia is to attend both the Global Sources show and the Canton Fair during the same trip. Canton is only a 2 hour train ride away and it costs $30. The Yiwu wholesale market is one of the largest wholesale markets in China where you can find a variety of different products at really low prices. Unlike China wholesale tradeshows like the Canton Fair or Global Sources which only occur twice per year, the Yiwu market is open everyday of the year except for certain Chinese holidays. What’s also different is that the Yiwu marketplace is literally a place where you can physically walk away with goods that are ready to sell or have them shipped directly to your warehouse in bulk. In other words, many of the goods are off the shelf and ready for sale. In terms of products, you can find a bunch of suppliers that sell everyday goods like handbags, textiles, accessories, watches…basically commodity products that can complement goods that you already carry in your shop at really low prices. It’s also important to note that the wholesalers at the Yiwu market are not manufacturers. Instead, most merchants in the market are trading companies or small retailers. One thing that you have to be aware of is that you may find fake or knock-off brands at the Yiwu market so you have to be careful. In general, none of the products at Yiwu will have a brand and any “well known brand name” that you see there will likely be inauthentic. Overall, the products at Yiwu tend to be cheap, commonplace items that you can use as upsells or cross sells for your existing portfolio. They also make great items for a free plus ship offer or a giveaway. Running our online wedding linens business for the past 10 years has required me to deal with many vendors across China, India and other parts of Asia. And I’ve discovered that working with Asians is a lot different than working with Americans or Europeans:) Here’s a short list of what you need to be aware of when dealing with Asian suppliers. The key thing to keep in mind when communicating with Chinese suppliers is that they probably studied English in school. They might not be able to speak or understand English that well, but they can probably read it much better than they can listen. So when you are visiting your vendors, it helps to have everything written down or typed in English. If you go in there and start blabbing away, chances are that the vendor will only be able to pick up bits and pieces of the conversation. They might nod and go “uh huh”, but in reality they probably have no clue what you are talking about. The same goes for taxi drivers and directions. Have someone write everything down in Chinese if possible and if you have to speak, speak slowly and enunciate every word. One of the main cultural differences between the US and China is that Chinese people tend to be non-confrontational. For example, Chinese vendors will rarely correct you, interrupt you, or let you know that they don’t completely understand you. It is part of their culture to be polite and accepting. But if you are not careful, this one simple cultural difference can cause you a ton of grief when placing orders. The biggest obstacle to overcome is that you might think you are communicating when in fact you are not. For example, I could be discussing something with my vendor and they might be nodding and acknowledging everything that I’m saying but then turn around and do the complete opposite once the conversation is done. The key is to ask direct questions and make sure that there is no misunderstanding. Ask, clarify and reiterate all of your points as many times as necessary and be sure to write everything down as well. The important thing to realize is that your vendor is just trying to be polite so you can never assume that anything is clear unless it has been thoroughly discussed. In the United States, contracts are considered final. After a series of negotiations, the final contract is supposed to represent an agreement and acknowledgment of terms. In Asia however, a contract is almost meaningless. When I deal with Chinese vendors, drafting an official agreement can often seem like a waste of time. We might spend a day negotiating and agreeing on terms and pricing only to have everything change the very next day. For example, one time we drafted a written agreement for a large handkerchief order only to have the supplier contact us a week later to tell us that they couldn’t manufacture some of the items we requested. On another occasion, a supplier tried to raise prices on us after the fact even though we agreed on pricing long ago. The key takeaway here is that the definition of a contract is different in Asia than it is in the US. Don’t expect a written document to be the end all and be all of your negotiations. In fact, I would argue that drafting an agreement is just the beginning. Here’s a general rule of thumb that needs to be ingrained into your head when importing from China. Never assume that the vendor knows what you want. If it’s not spelled out in a document, then your vendor will get it wrong or cut corners. For example, we import plain white handkerchiefs and you would think that it would be straightforward to describe. After all, it’s just a piece of fabric right? But one time we negotiated a lower price and the vendor sent us handkerchiefs with paper thin fabric. Because we didn’t specify the exact thickness of the material, the vendor met our price by cutting corners on the fabric. Bottom line, go through your samples and specify every last detail of what you want. Assume that any aspect that is not explicitly spelled out will be made incorrectly. Cultural differences aside, the key benefit of going to a trade show like the Canton Fair or Global Sources is that it allows you to make face to face contact with a large number of vendors and establish real relationships. This is invaluable! By going to the fair, you can easily meet hundreds of factory owners in just a few days. In fact, your relationship with your vendor is one of the key components to your success and face to face contact is essential. For example when my wife and I first started our business, we communicated with our suppliers solely through email. And many of these vendors didn’t give us the time of day until we physically visited them in their home country. The difference was night and day and the overall demeanor of our suppliers changed once we met them in person. Miraculously, our product quality improved and they became eager to help us out with special requests and designs. The other thing to keep in mind is that most of the vendors who attend the tradeshows do not have a web presence so it’s next to impossible to find them otherwise. While it can be intimidating to travel to China and attend the fair, it’s well worth your time. If you plan on going, then check out my itinerary! If you are unable to travel to China or Hong Kong to attend the tradeshows, the next best way to find Chinese vendors is to use an online directory like Alibaba or GlobalSources.com. Alibaba and GlobalSources are search engines for Chinese suppliers and you can instantly have access to tens of thousands of vendors at your fingertips. Here’s an example of how easy it is to find a vendor using Alibaba. Simply type in what you are looking for in the search bar and Alibaba will return a bunch of suppliers, prices and minimum order quantities. By clicking a button, you can then send the vendor a message and establish contact. Here’s an example script that I use when contacting suppliers for the first time. My name is “name” and I’m a buyer for “store name”, a store in “your country” that sells “the products you want to carry”. We are interested in carrying many of the items that you have to offer. If you could send us more info as well as your product catalogs and MOQ requirements we would greatly appreciate it. In addition, Alibaba offers a service called trade assurance which acts like an escrow service so you don’t ever get scammed. Sounds easy right? So what’s the catch? The biggest caveat is that this process can take a while and communicating back and forth with suppliers requires patience. For example, the time it takes from initial contact to obtaining samples can easily take weeks. In addition, the language barrier can make communication challenging because you must describe exactly what you want to manufacture via email and live chat. The other key difference between using a directory like Alibaba versus going to a tradeshow is that services like Alibaba tend to contain a lot of middlemen. Because there is such a low signal to noise ratio for vendors on Alibaba, many of the higher quality suppliers don’t list themselves in the directories. For example, none of our primary vendors advertise on Alibaba or Global Sources. But that being said, as long you can make a profit with your suppliers, then that’s all that matters! The two biggest online directories for Chinese suppliers are Alibaba and Global Sources. But there are some key differences between the two. First off, Alibaba has many more supplier listings than Global Sources but it comes at the cost of quality. In my experience, there’s a lot more noise on Alibaba. In general, Global Sources has a more involved vetting process which allows them to attract higher quality vendors. In addition, I’ve found that the MOQs (minimum order quantities) for Global Sources vendors tend to be much higher than Alibaba as well. But bottom line, your mileage will vary depending on what you want to sell. Give both services a try and see where it takes you! 1688.com is a China wholesale supplier directory that is owned by Alibaba Group. In fact, 1688.com is almost exactly the same as Alibaba.com except that 1688.com primarily caters to Chinese businesses. In fact, the entire website is in Chinese and you have to use Google translate or find someone who can read Chinese to help you find suppliers on their website. Now why am I showing you a website that is completely in Chinese? The reason is because sometimes Chinese vendors have inherent biases towards Americans, Europeans and other foreigners when they provide their price quotes on Alibaba. In other words, sometimes identical vendors that you find on Alibaba and 1688.com will offer higher prices to foreign businesses. Here’s what you can do to make sure that you are getting the lowest price. Whenever you are done negotiating on price for a vendor on Alibaba, you should also contact that same vendor via 1688.com with a different email address to see if the quote is any different. If the prices are similar, then it’s all good. But if the pricing is drastically different, then you should find out exactly why there is a discrepancy. Overall, you can use a site like 1688.com in conjunction with Alibaba to help you get the lowest price. While you should generally stick to Alibaba.com and GlobalSources.com for your China wholesale sourcing needs, I have been asked about both DHGate and AliExpress in the past so here’s my take on these 2 marketplaces. Both DHGate and AliExpress are marketplaces of Chinese wholesalers and dropshippers and the closest comparison I can think of in the US is Ebay. Basically when you make a purchase through DHGate or AliExpress, they handle the transaction and the seller ships the item. Both DHGate and AliExpress offer a refund guarantee on all purchases. In terms of product sourcing, the prices that you’ll find on AliExpress and DHGate will tend to be higher than what you’ll find when sourcing direct from a manufacturer. But the main advantage is that the MOQ will be much lower. In fact, you can often buy products in single unit quantities which makes these marketplaces ideal for testing out new markets before committing to a bulk purchase. Most people are not aware of this but every single shipment imported by sea is documented on the public record. And if you search this public record, you can easily find out where companies are sourcing their products from. There are two main companies that allow you to conduct import searches for a monthly fee, Panjiva and Import Genius. By typing in a business name, Panjiva will tell you every single sea shipment that company has made, where the shipment originated from and the manufacturer. 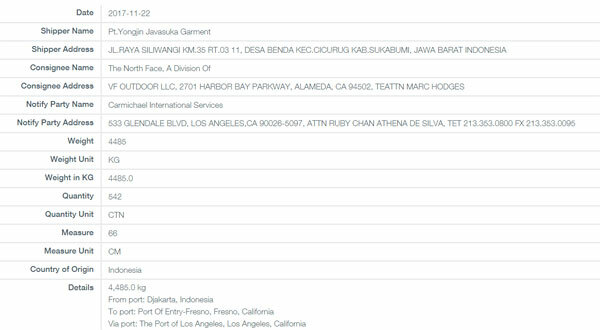 For example, here’s a sample bill of lading from The North Face that I obtained from Panjiva for free. So if you see a product online and you want to make something similar, you can easily find out where it was made and reach out to the exact same manufacturer! While importing your goods from overseas is the best way to obtain quality products at rock bottom prices, there are several logistical issues you have to work out in order to be successful. Below is a brief overview of what to expect when importing goods from overseas along with some tips on getting your goods to your warehouse. Most overseas vendors won’t even begin making your products until you actually place an order and put down a small down payment to cover the cost of materials. Depending on the nature of your items, expect to wait anywhere from one to four months to get your products manufactured. Very rarely will a vendor carry inventory and most goods are made to order so you must plan ahead. When we order linens for our online store, the lead times are typically 3 months long so we always have to predict our demand way in advance. If you are ordering products to be manufactured overseas, expect to place a fairly large minimum order. Every manufacturer will have their own MOQs(minimum order quantity) but don’t be embarrassed to ask before ordering. If you are just starting out, make sure that you obtain samples first and validate that your product will actually sell BEFORE you place a large order. These days, I rarely purchase less than 300 pieces of any new product but you can often negotiate lower minimum order quantities if the vendor believes that you are a serious customer. Be sure to check out my free guide on how to negotiate MOQ with your supplier. Most manufacturers expect to be paid by wire transfer. Also, you usually have to put down some money upfront(usually 30%) to cover the initial costs and then pay the balance once the items are ready to be shipped. If you are worried about fraud, there are escrow services like Alibaba trade assurance that will facilitate the exchange of goods and services. But in general, transactions go much faster when there’s mutual trust between you and your vendor. For example, we pay for all of our orders via wire transfer and our vendors don’t make us put up the initial 30% down payment. However if you are just starting out, don’t be afraid of wire transfers. If you are apprehensive about sending your money overseas, consider asking to pay by Paypal instead. Some vendors will accept Paypal if you cover all the fees but don’t count on it. Quality control will often be an issue and you have to be very specific in telling the vendor EXACTLY what you want. In general, it ALWAYS pays to hire an inspector to inspect your goods at the factory. After all, once your products get shipped to you, there’s not much you can do if you receive defective merchandise. For the price of around $300, you can get a statistical sampling of your shipment directly at the factory and know what percentage of your goods are defective. Catching manufacturing issues at the source will save you lots of headaches. It also keeps your vendors honest. Below are some of the more popular inspection companies. Many vendors in Asia do not speak English very well. But as long as you restrict your communication to email and live chat, things will go much smoother. Most vendors are able to read English much better than they can understand the spoken language. As a result, ask to communicate with your supplier via WeChat and Skype. Once you’ve ordered your products and they are ready to be shipped, there are two main ways to get your goods into your home country, by air and by sea. But before you initiate your shipment, make sure you ask for the following documents from your vendor. These will be required in order to clear customs. Bill of Lading – A legal document between the shipper of goods and the carrier detailing the type, quantity and destination of the goods being carried. Shipping your items by air is by far the easiest option but also the most expensive. Expect to pay between 5-6x more to ship by air versus shipping by sea. Personally, we use DHL for all of our international air shipments. Our vendors all have accounts with DHL and shipping with them is a breeze because they take care of everything. Basically, the vendor provides DHL with all of the materials mentioned above and then DHL transports all of your goods directly to the address that you specify. You do NOT need a customs agent! If this is your first time importing goods from overseas, you will be contacted by customs to provide your social security card or a company id number. Have this information handy once your goods have shipped and you are all set. DHL will also send you a customs bill so that you can pay any and all duties associated with your imported goods. Shipping by sea is a much bigger headache but totally worth it if you are importing a large volume of goods. As mentioned before you can easily save between 5-6x compared to shipping by air. The key to accepting shipments by sea is to hire a good customs agent. This is absolutely required especially if this is your first time importing by sea. Do not try and do things on your own unless you know exactly what you are doing. This is what the customs agent will take care of for you. Customs Duty – They will take care of calculating and billing you for any duties associated with your goods. Customs Entry Bond – You are required to buy a bond that acts as insurance with Customs in the event you should default on the customs duties. Your customs agent will take care of this for you . Of course all of these services come at a cost. Right now, we are using a company called Toll Forwarding as our freight forwarder and customs agent. For our last sea shipment, we paid about 1800 dollars to transport over 6100 pounds worth of goods to our warehouse and the whole process took about 3 weeks. To give you an idea of the difference in price, shipping a 35 pound box via air courier costs about $170 which makes it cost prohibitive for large shipments. In general, it makes sense to ship your products by sea if your shipment exceeds 200lbs in weight. The tradeoff of course is time. Whereas sea shipments can take over 3 weeks to arrive, shipping by air typically takes 3-5 days. Because the cost of manpower is so much cheaper in developing countries like China, Thailand and Vietnam, it makes sense to source most goods from Asia. Any product that requires a lot of labor to assemble like textiles and electronics can often be purchased at a fraction of the price. 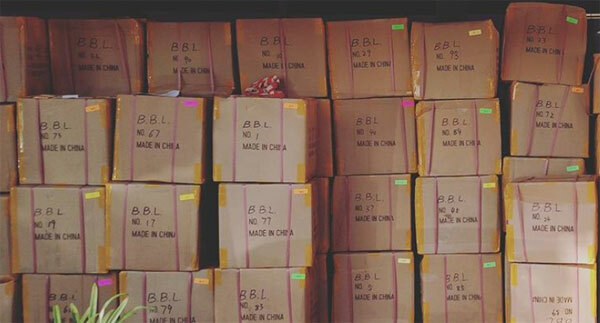 As a result, you should definitely consider importing from China as a sourcing strategy. With higher margins, you can focus more of your dollars towards marketing and customer service. I use Alibaba and purchase my goods with a fair number of Minimum Order Quantity (MOQ). I purchase some very high-end goods and assemble them here in the States and then place them online on ebay and make a tidy profit (not millions, but OK). I shot for high-end niche merchandise that is my hobby and instead of sourcing it here Stateside, I went Alibaba (China mainland or Hong Kong) and do very well with that. Alibaba is great if you take the time to go through and contact each vendor, request samples etc… But going to a tradeshow will save you a lot of time. I know several people that use Alibaba with mixed results. I’m trying to find a good wholesaler in China for my Boutique and Monogramming Vinyal business. Does anyone have any suggestions on how to find vendors without google. All I get on Google is US whole company’s but they’ve marked all the merchandise up so it’s hard to sale to make a decent profit. I’ve been to Atlanta, GA for whole sale but haven’t been able to find any outside that area. HELP PLEASE! I love this article and I’m hoping one year soon I will be able to plan a trip to this event. Any advice on buying / searching wholesale would be greatly appreciated! I am a Chinese girl in China,no need to to bring a translator if you visit any fair in China,bring me ,it’s enough ! Would have loved to meet up. I live in Shenzhen and was at the Canton Fair Phase 3 as well. I find that if you can pull together an order for even just $5,000USD~ the smaller factories will be willing to give it a shot. I’ve done some direct sourcing and it is much better and cheaper than dropshipping. Of course you do need to warehouse and have the logistics in place! We actually visited Shenzhen as well for fun. Maybe next time I should send out some mail to see if readers want to meet up. I just assumed that no one was going. I am opening a new womens fashion boutiqu. Looking to spend about $5000 to start up with. Can anyone recommend any wholeseller I can purchase from? I am looking for help buying factory direct from china. I need help fast, very fast. I have an order 65K – 85k (CIF shipping). Too many “China” everthing websites and people to contact. If you can help, I would gladly compensate for your time. Steve, thanks for giving us aspiring entrepreneurs such a candid and insightful view into the world of trade shows in China! Your write-up couldn’t come at a better time for me. I’ve been working on creating a franchise for a premium children’s furniture line, and I’ve booked my first overseas trade show in Shanghai in January. Despite all the pre-show planning from making appointments with factories, to planning my route using the show floor plans, I have to admit that I’ve been a little bit nervous on what I should expect being that I can only speak Cantonese (which doesn’t), and have never been to Shanghai. Thanks for the tips (e.g. rent-a-translator, etc), you’ve instilled a little more confidence in my upcoming adventure! Awesome! Good luck at the show. I don’t think that most of the vendors will speak Cantonese there but I’ll bet you’ll be able to get by just fine with English. If not, just grab a translator! Should be a fun trip for you! Is Worldwide Brands really a good deal? It seems like I’m paying for the same info/vendors that I can get on Alibaba.com for free? Worldwide Brands is a different beast than Alibaba in that they specialize in light bulk and dropshipping vendors. WWB has already gone through the effort of screening out only legitimate vendors and have an elegant interface to search for them. Alibaba is for finding vendors in Asia. If you are having good luck with Alibaba, then stick with it. But if you are looking for lower volume merchandise, then WWB is probably better and much easier to use. Wow, what a great article! Thank you for sharing this information. My wife and I have always wanted to visit the canton fair, but I am not sure we could justify the costs involved with travelling so far away. I was also concerned with the language barrier, but from what you mentioned this is not as large of a problem as I had thought. I would have to say I have been one to find factories via Alibaba, but I rarely use it any longer. I have had my bad and good experiences with Alibaba. Without alibaba, initially I would have never been able to find the factories so easily. Recently, it seems the factories fortunately find me through our website. I would like to caution all who place orders through alibaba. You could receive and be stuck with a very poor quality product. Don’t ask me how I know.haha I have also noticed many “factories” on alibaba are actually only trade companies. Some of these trade companies are charging a hefty fees and may even be located within the USA or elsewhere outside of Asia. In other words, they are drop shipping container loads from the factory to you! But trade companies can also benefit you if they have modest fees and high quality control. Anyway, in order to help me make a decision on whether or not the expense could be considered a wise investment, could you please share the costs of you and your wife’s trip? If so, please break down the expenses as best as possible. Such as airfare, hotel expenses, transportation expenses while in China (subway, taxi, other airfare, etc…), meals, and unforeseen expenses. I believe this information will help us make a decision on whether to visit the show in the coming spring or fall. Again, thank you for your post. My wife and I are jealous and cannot wait to explore the Canton trade show, visit with factories we have dealt with for years, and have a little fun travelling to the tourist spots. Thanks for introducing me to the Canton Fair! Last week, my husband invited me to accompany him on a qtrly business trip to Beijing. As I considered how best to spend the time while he’s in meetings, I revisited the niche research that I began a month ago before I was downsized from my corporate marketing position. As luck would have it, I literally Stumbleupon your site the other day, and here you are giving me a great way to optimize the time overseas!! The trip is 3-4 wks from now and may not coincide with Phase 3, but at least the timing is perfect for me to sketch a short-term and long-term sourcing strategy. Attending the Canton Fair may be very ambitious for next month, but I definitely will consider going in Spring 2012. Thanks so much for bringing this into view for me, Steve! Yeah the Canton Fair is incredible and easily the largest fair I’ve ever attended in my life by about 10X. You should definitely check it out if you get a chance. Thank you for this gem of an article. Lately my hubby and I have been thinking of opening an online store, but without any knowledge of how to source the products. I had the opportunity to visit China a couple years ago. I can’t believe what you can get there and for how cheap. We are planning on attending the Fall Canton Fair this year, any recommendations on good translators? Do most of the booths have English speaking personnel? Hi Sandra, I am planning to go this year too, and it is my first time, so please feel free to send me your email and we can communicate and help each other if we find useful information. About the english dont worry most speak and you also can download a translating applications. The one I have is free it is call “Translate voice”, it is amazing. I am leaving Sep 22 and staying 40 days. thank you for this article! i was wondering if we can attend the canton fair if we don’t have any business? we are just planning to have one that’s why we want to go and scout for potential business. thank you for the reply. Going to Canton Fair for the first time this year, very exciting just want to hear some experiences you have had and tips about dealing with the vendors and the event. Any info would help, looking for a good group of people to meet up with there as well. Just wanted to say that this was an awesome Article. I am currently 20 years old, and am searching diligently into opening up an online business and pursuing this line of work. I had started my first business at age 15, and stopped it at age 19. The hunger of being an entrepreneur does not stop. I have been eagerly searching for factories located in Asia that can supply my company with goods, and this has been a great read for me. I would love to have some one-on-one chats with you and learn a bit from you; just some common stuff. Thanks again for the insight on this, I will have to attend this show sometime in my life. 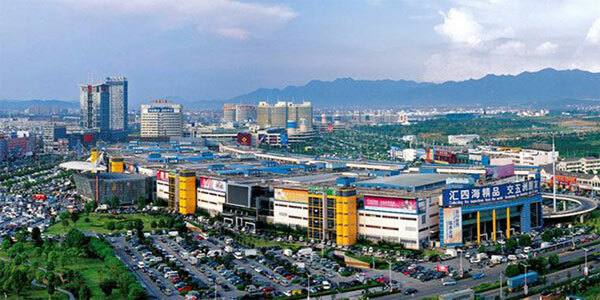 I stumbled on your site while searching for more info regarding the Canton Fair in China. I’ve been there 2 times but in the Bejing area. I currently wholesale several products but would like to go more direct with companies in China that make jewelry and scarves, etc. (women’s accessories) I don’t know what session to attend ~ I think it would be phase 2. If anybody has any ideas and hints to make this trip less stressful and more informative on how to go about everything please let me know as I’m always looking at how to expand my business. I really liked your article ,i am also amom of two and always wanted to do something and at same time wanted to give the kids proper attention si never went out to lok for a job ,recently i started to sell small things on an online auction place and since then have been looking for ideas what to sell.I really wanted to go to the canon fair this year with my family but i was just worried because taking kids might not give us what we are looking to get from the fair.do you know do they have any facilities over there for the kids or will we b able to suceed from the fair with the kids,hope you get what i am trying to say.Also we wanted to get ideas of what to sell were focussing more on phase 2 and phase 3 ,will you please advice that if we want to buy small quantities of few items to try which is the best place ? Can you please help or give ideas as which items will be best to make profit on? Hi! Nice article you’ve written. Do you know by any chance a vendor who is fair trade in hair weave or extensions? Hi, thanks for such a gud article, pls advise if children are allowed in the fair .my three yr old will accompany me and if pure vegetarians will hav any problem in finding food thr. Did you end up going to the fair with your 3 years old? I am also planning to travel with my 2 years old? Can you please share your experience? Do you think the exhibitors/suppliers attending the Canton Fair are all legit? Like I started an advertising business recently and looking for potential Chinese suppliers for my products which I sell. I have gone through alibaba.com, globalsources.com and few others but doing a bit of research on Google shows me all of these sites had mixed outcomes for importers as most scams also use these sites. So, should I completely “trust” the suppliers mentioned on the Canton Fair sites? (cantonfair.org, cantonfair.net, cantonfair.org.cn). I can only appreciate the great advice. I am planing to travel to this trade shows in China, make contacts and if possible purchase electronics and house goods for sell in Africa (Cameroon). Do you have any Idea on how to ship to Cameroon from China. Secondly any ideas on accommodation for the period of the trade shows (say 2 weeks)? Any recommendations will be appreciated. I can well recommend the Canton Fair. Everything on here is true, it is an enormous buying opportunity. You can organise everything yourself or take the strain out of it all and book through ourselves. Could we purchase products directly from the exhibitors at the Canton fair? Im really interested in attending the carton fair I also have afew products to exhibit and after that export from China Kindly advice on how to go about it. market they should by the items in bulk in wholesale the person who bought the item for business the product should be bought in bulk so the minimum rate will be assign for the product. I Will be visiting phase 3 of the canton fair this coming month and had some questions. 1. Do you think i need to be there for the entire phase 3 or is doing 2-3 days out of the 5 suffice? 2. You mentioned it was a 2 hour train from HK. I’m staying in Kowloon so that seems great however someone mentioned to me with the travel time from HK to the train, waiting for the train, going through customs, then from Guangzhou station to the fair can be about 4 hours one way, is this true? If so i was thinking maybe i should double book and get a hotel in Guangzhou for phase 3 but i would like to avoid this additional expense being my hotel in HK is already paid for and non refundable. 3. I am a clothing company looking to bring my own patterns for manufacturing. I already have a invitation from a factory that I have been working with previously. Do I need a badge to enter the fair? Do I need to register online to be an attendee? Thanks for the insightful advice and the open invitation to contact you. Do you need interpreter, sourcing consultant, liaison officer with your suppliers and you, quality control staff in china for your purchasing? i would like to do it for you at a reasonable price. Great article, but I wouldn’t commute from HK!! Just stay at one of the hotels next to it (Langham, Westin) so you can be fully fresh. In fact you can pop back to your hotel room for lunch and to rest your legs. Oh, and they all seem to speak english in my experience. And if they didn’t would you want to work with the supplier anyway? Thank u for sharing this wonderful information and We distribute wholesale promotional products, custom logo products, printed promo items, corporate promotional gifts at the best price in Australia. I am looking for nice quality hoodies , sweat pants, joggers, tshirts, and button up flannels in bulk. I need good quality trying to start clothing line. I do silk screening so was looking for a supplier in China can anyone help??????????? Hi Cory, I am going to china for 40 and I will be looking for a factory with similar characteristics. feel free to contact me I can help you giving you information of vendor that I find. Hi Steve, I wanted to thank you for the information, it is very helpful! I do have a couple of questions i was hoping you could answer for me….I sell AUTHENTIC brand name items such as (just to name a few) Beats, The North Face, Ugg Australia, etc… Does the Canton Fair offer these items? and if so, are they Authentic? Also, would i find wholesale vendors on the WorldWide Brands website that offer authentic items such as these? I am interested in a membership but i do not want to waste my time or money if they do not offer what i sell. Thank you very much, A.J. Did you find any quality wholesale hair distributors?? When it comes to dealing with China we should have a prospective business.We should always deal with the company directly. I know whole sale products are not always good but sometimes they are very valuable. THESE WILL BE MY FIRST TIME IN CANTON FAIR IN OCTOBER. IM PLANING IN STAYING 20 DAYS . COULD YOU HELP ME ADVISING ME HOTELS WHERE TO STAY?. IM LOOKING LESS THAN 75 DOLARS A NIGHT, AND IT HAS TO BE CLEAN AND WITH A WINDOW. Canton Fair, created a B2B website where all suppliers from the fair are available online. thus, it is no longer necessary to visit the fair to a trustworthy purchase. Does anyone know any reliable Lace wig manufactures. I will be supplying my own supply of hair.. so just need a company to make the wig to spec? Yeah I agree with you. We used to go to fairtrades but for the last 5 years, we made a very good strategy to save us a lot of money and efforts. Now every 2 months we are in China and can buy good quantity for quality and price. Trade fairs are definitely one way of meeting suppliers, but far from the best. HI, I organized the trip in phase 3, 30 Oct to 6 Nov, interested in the cleaning cloth. But I think I made a mistake, the cleaning cloth is in phase 2. You confirm or my choice is right? Great article,Really inspired be a lot and I am thinking of coming China as soon possible. Can anyone give me contact number of china vendors? Very interesting article and comments. I am a small fry trying to do some online business. Not in the league of going to the Canton Fair. You are extremely knowledgeable and would appreciate your advice. I would like direction as to where best to buy, in small lots, cellphone accessories, etc. to resell online. Maybe later I would love to be in the position to visit the Canton Fair. Right now I am at the bottom of the totem pole. Can you handle a project to supply any of this product Drilling Pipes and water pipes or T-shirt,Carpet Backing, Laminating Machines,safety boot,Hospital equipment, Led Light. Any travel advise. I’m looking to go to the next canton show for hair factories .. Looking for as much information as possible! Hi, please I want to go into clothing 100% human hair and shoes. Please can you tell me how to go about it? i need to know about genuine supplier about related this product. Good day, am working with a Chinese man that is into Cargo from China to Nigeria he has been in Nigeria for 5 to 10 year and always help people buying from China and have it delivered to Nigeria. To get more info about him or to start using our cargo service call me 08118618804. I’m not too sure if you can help me but my husband and I have a manufacturing business here in nz where we manufacture wiring looms for trucks and trailers. We currently import some of our parts from China through Alibaba but we are wanting to travel to China to buy in bulk. We are unsure of where and how to start. Are you able to help with this at all please? I’m planning to visit Canton Trade fair this October. I’m not sure if its really necessary. I tried to use Alibaba but i see that lot of suppliers out there are not trustworth and make fake supplier accounts. With my digging so far I checked out the e-cantonfair.com website which looks more trustworth i guess. And to my surprise I see that lot of suppliers listed on canton fair seems to accept L/C payment terms which i rarely see in alibaba.com (never remember seeing one). So if the suppliers listed here at e-cantonfair.com are trustworth the I can see the trip to the trade fair and buy with some confidence directly. If you or anyone can share your thoughts on this it would be really appreciated. Dear Sir, BLESS you for this timely information on the canton fair particularly for greens as I embarking on international business on a small scale with growth expectations. I’m interested in going into the shoes, bags, clothing, household as well as any other that could be in high demand in my country Nigeria with a minimal amount. I seek your advise, do I start with the canton fair in onto – November for goods purchase!? Thank you. I am looking to go to china to find vendors for clothing and hair . can you please throw some light on how do B2B apparel suppliers like “Hanes” source clothes and supply them to other retail apparel companies like Banana Republic and so on. hi Jan my name is Masompe from Zambia I want to start ordering things from you…. I am looking to go to china to find vendors for clothing,handbags,shades and weaves 100% human hair. I want to have an online sales business, selling to Cambodia. Where should I find products and what company can help to ship it to Cambodia and help with my own page? Any products that can supply from the company? You can go to Alibaba.com to search the Beauty product. I am a oversea student studying in LA and start up my online selling business 2 years ago. we are a Chinese manufacturer and wholesaler in Hotel Amenities, Facial mask, body care, hair care and facial care area. We hope that we can have further communication and cooperation with people who want to find the right supplier with good reputation and with absolutely NO Language Barriers as most of our employee are study aboard before so that they will easy to understand what you need. By knowing how to respect our customers and provide the fast respond, we will offer you the most friendly and satisfy service ever. Please free feel to discover our amazing service experience with the best quality product and reasonable price. We are Looking for you! Cheers! I already live in china for 2 years constintllyngoing ti many shows and update my suppliers, it’s not easy and competition is big so prices and quality ranges from edge to edge… though luckily some clients like personal judgment and attention to details so they let me shop for their needs with full trust. I’m looking from a company that can manufacture fashion T shirts . Never write reviews but thought I’d say that your website has been incredibly helpful. I’ve been doing turns in my head about starting and online business focusing on home goods but I had no idea where to start. I know people that have successful online business but as you may know not many like to share any tips… anyway I will definitely look into this trade show and other recommendations. Just a random question: how much did you invest and how much lose your first year. I’m one of those that scared of investing so much money and I’ve heard whenever you start a business you may not gain much the first year. Thanks! I want to go into clothing and Brazilian hair….. How do I begin? How do I get a supplier? After going through your post, I found it useful how we find the wholesale suppliers while importing products directly Chinese factories. It’s also nice to know how one can exploit the fairs and sourcing tradeshows because they really are a good source to fulfill one’s needs.